Dr. Abhishek Manu Singhvi, one of the highest paid senior lawyers in the Supreme Court and the richest member of Rajya Sabha, has approached the Income Tax Settlement Commission (ITSC) and sought immunity from levy of penalty or institution of proceedings against him, reports IE. He had earlier disclosed his "undeclared income" of approximately Rs 11 crore, and had paid Rs 3.26 crore as tax on the amount after receiving notices from the Income Tax Department about his returns. 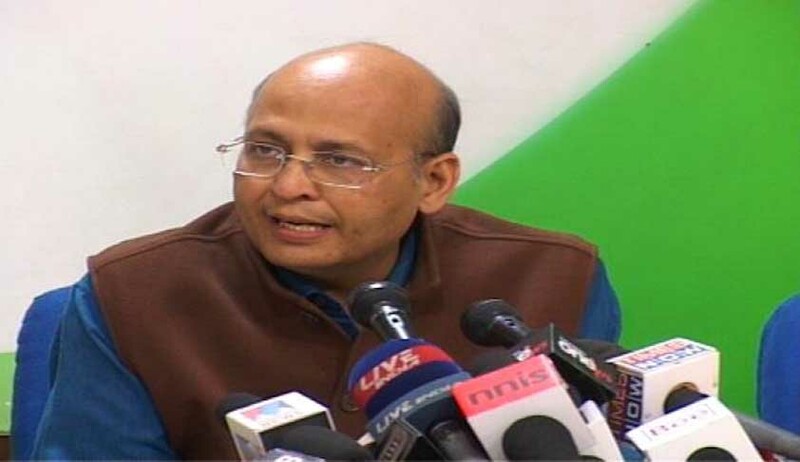 The additional income had not been included in the returns as there was an error in computation and laxity on the part of those who maintained his accounts, said Singhvi. The Income Tax Department, however, says that the additional income disclosed by Singhvi is not correct and have estimated it at Rs 22.86 crore, making his total tax liability of Rs 7 crore, which he is contesting. The ITSC, a quasi-judicial body for alternate dispute resolution, allows a one-time tax evader or an unintending defaulter to make a one-time clean deceleration of his affairs. Under this settlement mechanism taxpayers can disclose additional income over and above what has been already disclosed before the Income Tax Department. The applicant is required to pay full tax and interest on the additional income disclosed to the ITSC, before filing the application to ITSC. On May 10, the ITSC declared Singhvi's application to be valid for seeking a report from the Income Tax Department. Singhvi's troubles with income tax authorities started with the Financial Intelligence Unit of the Ministry of Finance generating 17 suspicious transaction reports related to huge cash withdrawals of over Rs 120 crore traced to Singhvi's bank accounts in 2011-12, reports Indian Express. The Income Tax Department, after receiving the reports and a complaint, began investigating the case and issued a notice to Singhvi asking for clarification on the said withdrawals. Under income tax guidelines, the penalty for failing to make a full and true disclosure can go up to 300 per cent of the tax which was sought to be evaded along with rigorous imprisonment of seven years.